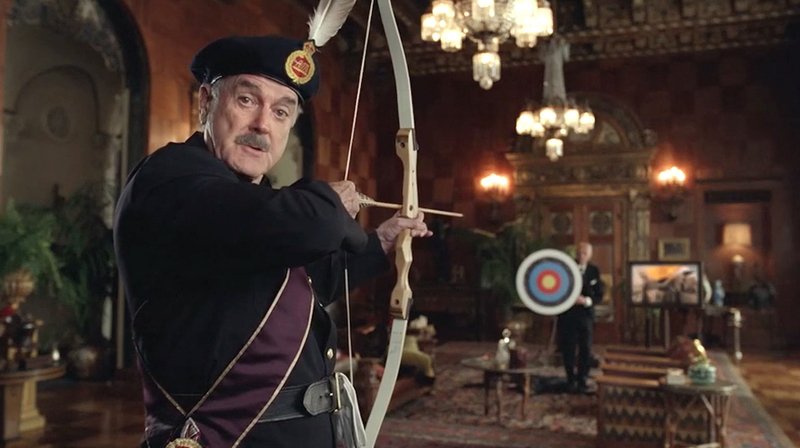 No one can accuse John Cleese of not earning his paycheck in this great new DirecTV spot from Grey in New York. It shows the actor and comedian holding an absurd and increasingly irritated conversation with himself about DirecTV's best package of the year—in a rapid-fire back and forth through little set-piece scenes that last barely a second each. Repeat viewings aren't just tolerable—they're mandatory. You could watch it a few dozen times and barely catch half of everything that's going on. The spot, called "Questions," was directed by Tom Kuntz, who also crafted all the ads for DirecTV's recent, celebrated "Cable Effects" series.